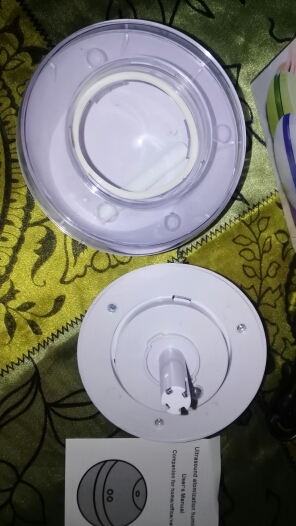 Material: ABS and PP plastic. Size: 3.9*3.6" (10*9.2cm). (There are some errors due to manual measurement.) Capacity: 290ml. Auto Shut-off: the humidifier will automatically turn off when it runs out of the water. 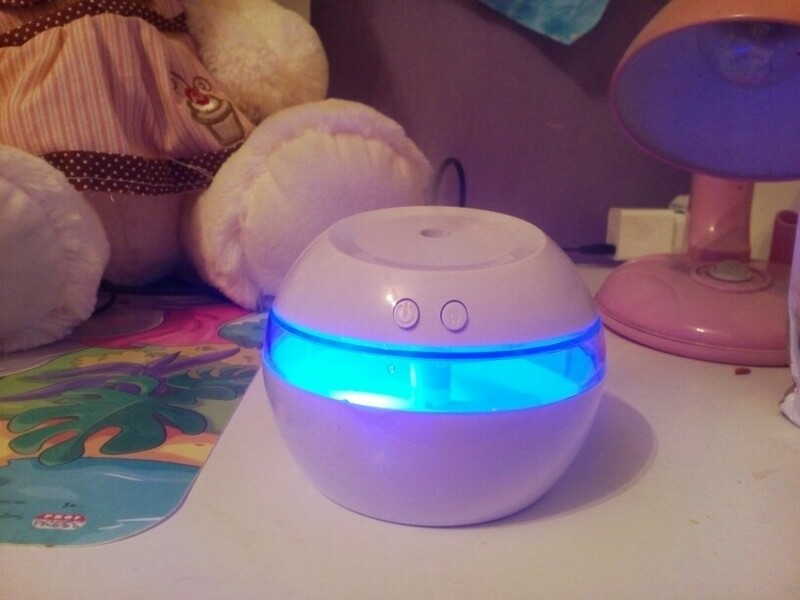 Aromatherapy diffuser with LED lights. Power (W): 2W, Voltage (V): 5V, Mist Output: 30ml/h. 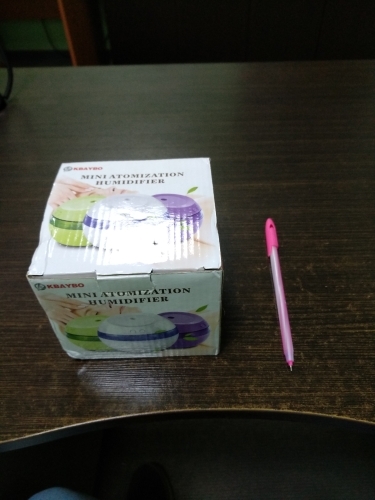 This ultrasonic humidifier can help to provide fresh air and fresh smelling aroma (if you add a single drop of essential oil into it). A lovely addition to your home, desk, office, car and can be given as unique gifts to surprise someone you love. 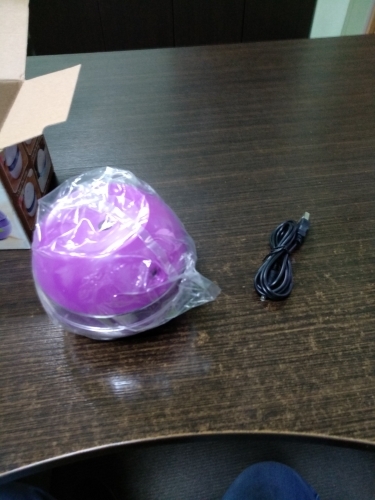 Package Includes: 1*Air humidifier + 1*USB power cable + 1*Filter stick + 1*User Manual. Humidifier fits the description. Starts To spray immediately after. Lights work. Working обсалютоно silent, not hot. Included USB cable, but without plug. AND now, most importantly, the humidity in the room or does not affect. Probably too small power. Maybe it makes sense to include the computer while working, MAYBE the whole room moisturizing.